1. 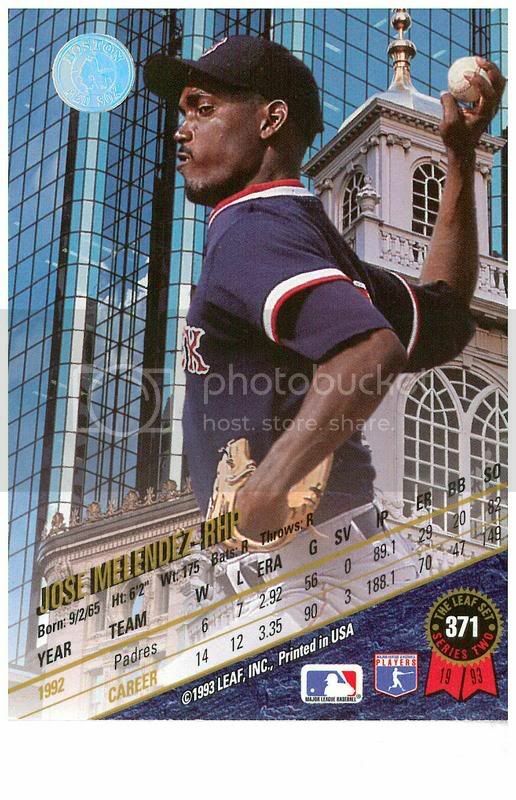 In the eight inning of last night’s game, (note: at which Jose improved to 4-0) the Mo Vaughn Jumbotron announced that Jason Varitek’s wife Karen gave birth to a baby girl who they named Caroline, ostensibly after the Neil Diamond/Fenway Park classic Sweet Caroline. At least, Jose hopes that’s the reason. The other possibility is that their favorite sitcom was Caroline in the City, and that’s just too horrible to contemplate. But all in all, this name is a good choice when one thinks of all of the other Fenway Park anthems that they could have named their daughter after. It beats the heck out of Boom Boom Boom (let me hear you say way-ooh) Varitek, Dirty Water Varitek and most especially Tessie Varitek. So congratulations to the Variteks both on the birth of their daughter and on their shrewd naming skills. 1. Jose learned a valuable lesson this weekend. Sunscreen is a lot like starting pitching --by the time you know that it isn’t working, it’s already way too late. When Jose went to Horseneck Beach on Sunday, he thought he was covered. He coated up with Banana Boat SPF 30 spray sun block and got ready to soak up some rays. This was a change for Jose. In the past he had always used cream sun block. He always knew exactly what he was getting with the cream. He knew its upsides, that it could be highly effective at preventing sunburns, especially on the hottest days. But he also knew the downsides, that it was sticky and difficult to spread through chest hair, sometimes resulting in uneven performance, and thus blotchy sunburns. So Jose made a decision this winter to trade in the cream sun block for the spray. He was all too familiar with the negatives of the cream and from a distance the spray seemed like a better bet. So Jose went into his first beach day of the year with the spray, and everything felt like it was going according to plan. He sprayed when he got to the beach, he resprayed when he got out of the water and his skin remained a pasty white. That is, it remained a pasty white until about an hour after he left the beach when white turned to red more quickly and only modestly less painfully than Russia in 1917. Whoops, too late. As it turned out, Jose’s new sun screen hadn’t gotten the job done. Under the bright lights, it was flat out ineffective. For the extremely dense among you, allow Jose to spell it out. Pedro and DLowe are cream sun block and this year’s rotation is spray on. Last year’s rotation could be uneven, but it was highly effective when it counted. And this year’s rotation? So far it has been ineffective far too often, and when that has been the case, the Red Sox have gotten burned. But there the analogy seems to end. When Jose goes back to the beach next week, he will be packing cream sun block. Can he get anything in return for the spray? Probably not, he may just have to swallow the cost of the bottle. But the Red Sox can’t just go back to the cream, Pedro and DLowe are gone, and they aren’t coming back. The question is whether Theo Epstein can find another kind of sun block or whether he is going to have to spend the rest of the year relying on the spray on and getting burned to a crisp.